We can freshen up your residence to like the day it was painted, without the cost of repainting. Is your prime investment covered in mould, mildew, cobwebs and other unsightly blemishes that tarnish not only your residence or dwelling, but also your great name amongst your neighbours? To clean the exterior of your house we use a method called ‘soft washing’. Soft washing involves applying an eco friendly solution with a spray unit and using a brush as the cleaning tool. Stenciled concrete driveways look absolutely sterling after a pressure clean. We can remove years of stains so your driveway looks as good as new, and we can help you keep it that way! We will come to your premises, at a time and place that suits your convenience. Book us in for a punctual, no obligation free quote so we can take the burden of home maintenance! Is your prime investment covered in mould, mildew and cobwebs, and other unsightly blemishes that tarnish not only your residence or dwelling but also your great name amongst your neighbours? If these are your concerns then All Coast House Washing is at your service. As your exterior cleaning specialists, our job is to lift the burden off your shoulders and place these tasks into the hands of our experienced cleaning team. Thinking of selling your house? From gutters to pavements, we can upgrade your investment to market standard at minimal cost. 1) Competitive Rates – At All Coast House Washing, we are committed to providing the highest-standard of pressure washing services with affordable rates. Our efficient pressure cleaning techniques are proven and tested. Our results speak for themselves. If you do not want to compromise on quality or waste money on overpriced services, you are going to be deeply impressed with the specialised services we offer. 2) Local Business Serving The Central Coast – All Coast House Washing is a family owned and operated business that takes pleasure in providing a high-quality service for the local community. We take pride in our work and know that our reputation is directly related to our workmanship. We value your time and will go the extra mile to ensure that you are fully satisfied with every aspect of our work. 3) Experienced Pressure Cleaning Technicians – Over the years we have perfected the art and science of blasting off even the most stubborn stains. We use industrial strength machinery and advanced pressure washing techniques to safely and thoroughly remove mould, oil, dirt and stubborn stains from your property. You will not believe the difference that a professional pressure washing service will provide your property until you see it with your own eyes. Our cleaning techniques are safe and environmentally-friendly and will not damage the paint or coatings of your property. 4) Central Coast Wide Service - We are based in Kincumber and service all suburbs on the Central Coast. We are also actively involved in community work to assist our fellow residents on the Central Coast. We provide first-rate exterior house washing services for residential, strata and commercial properties throughout the entire stretch of the Central Coast. 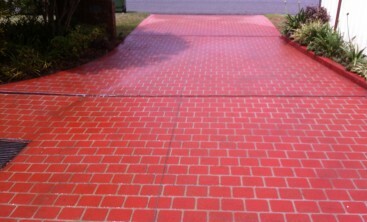 Come and see why we are one of the leading Gosford pressure cleaning teams. We have close working relationships with the Central Coast Council and conduct all our work following appropriate OHS legislation. 5) Fully Insured – We take the time to get the job done right the first time. We don't cut corners and we don't take risks. To ensure your confidence in us, we are fully insured. Don't rely on second-rate pressure cleaning contractors, trust industry experts that have perfected the art and science of pressure washing. 6) Friendly Service – We take pride in our expert workmanship and professional friendly service. When you book an appointment with us, you do not have to worry about waiting for us to arrive when we feel like it. We will arrive on time, leave your place sparkling and treat you and your property with the utmost respect. 7) One-off or Regular Pressure Washing Services – If you require a customised cleaning schedule, we can tailor our service to suit your requirements. 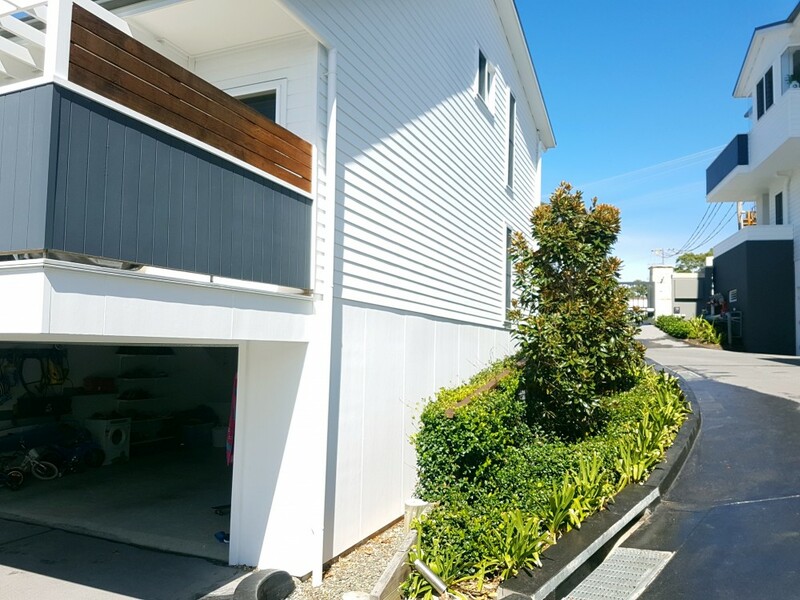 We have a wide range of satisfied commercial and strata customers throughout the Central Coast that exclusively use our hard surface cleaning services to ensure their property is kept in pristine condition. For more information on our regular cleaning services, give Greg a call on 0418 467 294. 8) Complete Range Of Services – Our pressure washing systems are effective at cleaning all types of hard surfaces commonly found in homes, offices, retail shops and strata properties. We regularly clean weatherboard, bricks, pavers, terracotta, render, colorbond, cladding, concrete, sandstone, slate and more. For more information on our mould cleaning services, visit our Mould Removal Central Coast page. 9) Free Quotes – If you want to see just how good our exterior house washing rates are, give us a call and we will provide you with a free quote. Remember, even though our rates are low our standard of service is high. 10) Highly Recommended – Without satisfied customers, we can not keep on going. So we go above and beyond to ensure that you, our customers, are more than satisfied with our services. We are highly recommended by residential and commercial customers on the Central Coast and we continue to refine our services to ensure that you will love our pressure cleaning services. Why Is All Coast House Washing A Leading Pressure Cleaning Central Coast Expert? We have a team of experienced cleaning technicians that have undertaken extensive training in order to ensure they can leave your hard-surfaces in near-new condition. If you are looking for the best results, you are going to love our attention to detail. We use high-quality cleaning solutions to ensure that even the most stubborn stains on your concrete, pebblecrete and walls are removed. As a locally owned and operated Central Coast pressure cleaning company we endeavour to provide the best rates and the highest quality. Call us for a free pressure washing quote for your residential, commercial or strata-managed property. Avoca Beach, Terrigal. Berkeley Vale, Blue Haven, Bateau Bay, Bensville, Buff Point, Copacabana, Davistown, Green Point, Kariong, Saratoga, The Entrance, Ettalong Beach, Erina, Forresters Beach, Gosford, Hardys Bay, Holgate, Kanwal, Killarney Vale, Killcare, Kincumber, Kulnura, Long Jetty, Mannering Park, Moonee, North Avoca, North Gosford, Ourimbah, Patonga, Tacoma, Tuggerah, Umina Beach, Woy Woy and Wyong.